Brandon Pettigrew is a free agent. His modus operandi as the Lions' tight end is well-documented. While he has made some big plays and posted some good numbers, the amount of dropped passes has been alarming. And Pettigrew does not have the explosive speed to split a seam down the field nor is particularly effective running after the catch. He is a free agent. The answer appears to be to let him leave, use the financial resources in other areas of need and draft a tight end. The Lions already have Joseph Fauria in the pipeline, but he's skill specific and might be a stretch as an every down player. I don't see a tight end in this draft worth the 10th overall pick, and the Lions have need at wide receiver or cornerback in that spot. Second or third round is different. There definitely could be equal value there. I find it difficult to believe North Carolina's Eric Ebron, who is projected as a late first-rounder, will last, but Washington's Austin Seferian-Jenkins and Texas Tech's Jace Amaro might, and I'm not sure if they wouldn't fit the Lions better than Ebron anyway. Seferian-Jenkins is an extraordinary talent and can speed a split a seam deep. Amaro was an incredibly productive college player. Each are equal talents (four-star recruits out of the same high school class, bordering on 5-star; it means they can run and will likely light up the watch in the 40). 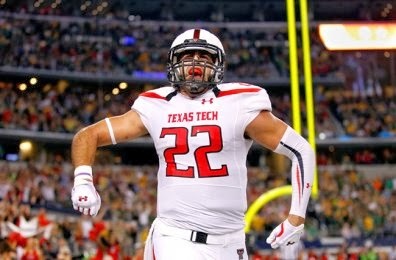 If the Lions wait after the second round to draft a tight end, I see the best available as being C.J. Fiedorwicz from Iowa. He likely won't run the same 40-time as Seferian-Jenkins or Amaro, but he has very good hands, is a fluid athlete and a solid blocker, which, by the way, still carries much importance at the position. 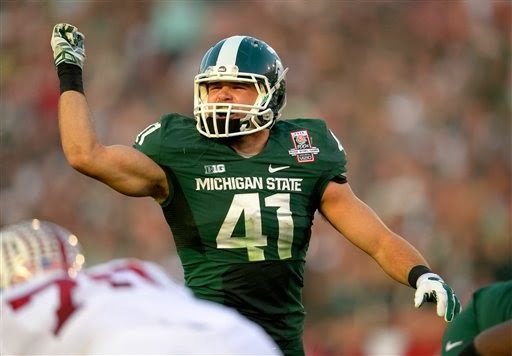 Notre Dame's Troy Niklas is going to be good NFL player, too, and is more athletic than Fiedorwicz. This isn't meant to dismiss Michigan's victory over Michigan State Saturday. Such wins by the Wolverines at the Breslin Center have been rare. The Wolverines have done a terrific job of maintaining a high level of performance despite losing Trey Burke and Tim Hardaway Jr. to the NBA, and Mitch McGary because of injury. Beating three Top 10 teams in a week (Wisconsin, Iowa, MSU), two on the road, is very impressive. So is being all alone in first place in arguably the nation's best conference, the Big Ten. Yet, in the bigger picture, it won't mean nearly as much if it's not part of a process in which the Wolverines are hitting their peak in March. There are still 11 games remaining in Big Ten regular season play, the conference tournament and the NCAA tournament. Did anybody remember, or care, that Michigan was throttled by 23 points at East Lansing last February, while the Wolverines were on their run to their national title game while the Spartans were knocked out in the Sweet 16? 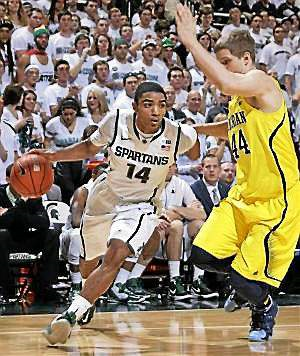 The Spartans were missing Adreian Payne and Branden Dawson Saturday. They both figure to be back for the postseason. Also, Keith Appling was banged up. So, fairly or unfairly, there was an asterisk next to the win by the Wolverines. 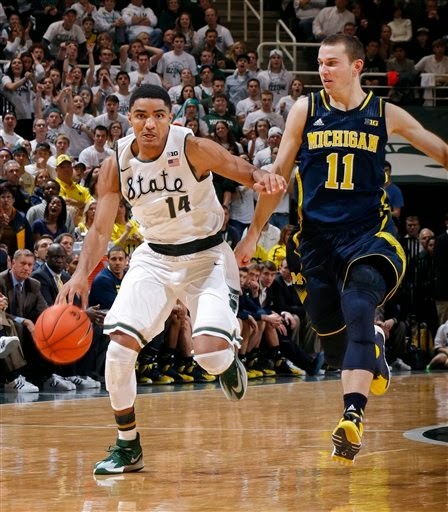 What the Wolverines have proven is they are pretty even to MSU when it comes to college basketball. Their program is very solid, and wasn't just the product of one brilliant player, Burke. But the jury is still out on this season. While Saturday's victory presented more hard evidence the Wolverines have pulled even with the Spartans, it would be naïve to believe it was definitive. If you listed the top "Rules of Thumb," the notion, "If it looks too good to be true, it probably is," ranks near the top. 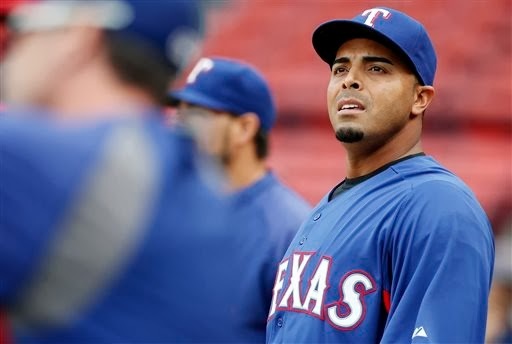 Such is the idea of former Texas Ranger outfielder Nelson Cruz becoming a Detroit Tiger. The first idea of this among many Tigers' fan is, understandably, "Great." Cruz ripped up the Tigers in the 2011 American League Championship Series, hitting six home runs, including turning around a 100 mph heater from Justin Verlander. He showed this incredibly strong arm from right field. 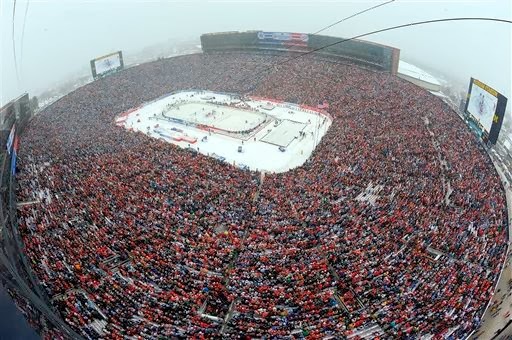 Hey, if there is any town that believes Cruz is a great player, it's this one. But he hasn't been overall. He is going to play at 33 in '14, an age when players start leaving their prime. There are signs his speed and defense are going downward. Cruz's WAR, which put his defense and running the bases into the equation, has dwindled significantly the last three years, and is difficult to ignore. Cruz is a one-dimensional, right-handed power hitter at this point. He has had a high slugging percentage the last few years, which has elevated his OPS, but he strikes out a ton, doesn't walk that much, but runs into a significant number of balls for home runs. The Tigers need power - period - but they need left-handed power far more. If Cruz were to play every day, say in left field, the Tigers' regular lineup against right-handed pitching would only have two left-handed hitters, catcher Alex Avila and DH Victor Martinez. Oh, and Cruz was suspended 50 games last year as part of the Biogenesis scandal, which can't but lead to legitimate questions about where that power has been generated. Cruz wants a two-year deal and big money. Nobody is biting. My educated guess the price would have to drop down to the bargain basement rate before the Tigers would consider signing Cruz. Joe Lombardi has an excellent NFL pedigree, and that isn't because his grandfather is Vince Lombardi, who died before he was born. He comes from the Saints. Head coach Sean Peyton is one of the NFL's top offensive minds. Pete Carmichael Jr., the Saints' offensive coordinator, has been on the radar as a possible head coaching candidate. It was thought if he did land a head coaching position, Lombardi would replace him as the offensive coordinator. Lombardi is an experienced assistant, who has worked successfully with one of the league's top QBs of all time, Drew Brees. He should be ready for this position. Lombardi's experience comes from the Air Coryell offense. It is one of the standard sets in the NFL, very similar to the West Coast Offense, except with more emphasis on stretching the field vertically. It's the same system the Lions had under Scott Linehan, except the Saints have made use out of the fullback position. It's a system, certainly, with which Reggie Bush, a former Saint, has familiarity. The Lions will often flood one side of the field with receivers. Tight end is a premium position in this offense. Jimmy Graham has been the biggest threat in New Orleans for years. Before he arrived, they had a productive duo in Jeremy Shockey and David Thomas. The running backs get a ton receptions, too. The idea is to stretch the field vertically, and set up the passing game underneath. It's not much different scheme-wise than what the Lions were doing under Scott Linehan, but successful offensives aren't just based on overall game plans, but play calling and execution. Certainly Lombardi's hiring continues the emphasis on rehabilitating QB Matthew Stafford after last season's late-season collapse. 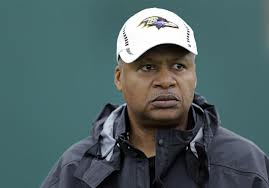 Head coach Jim Caldwell was Peyton Manning's quarterback coach. 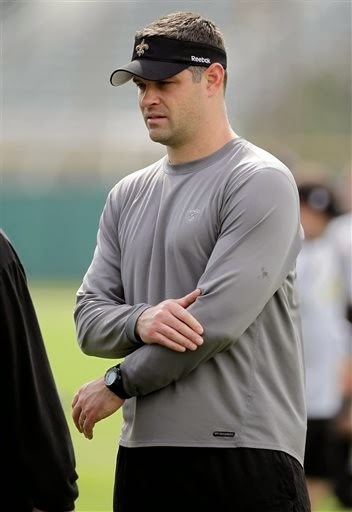 Joe Lombardi was Drew Brees' quarterbacks coach. There are plenty of QB gurus to go around on the Lions' coaching staff to help Stafford. The Pistons are about to take the floor at The Palace of Auburn Hills vs.
the Los Angeles Clippers with a 17-23 record. They have a 3-7 mark in their last 10 games. The Pistons did win their last outing Saturday at Washington. 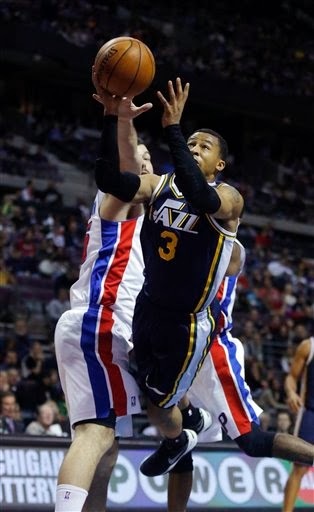 However, Friday night was an embarrassment as Trey Burke destroyed the Pistons as a member of the Utah Jazz at The Palace. Burke, of course, was the national player of the year last season, while leading Michigan to the NCAA Championship Game for Michigan. Burke is playing very well for the Jazz. The Pistons bypassed him in the NBA Draft for shooting guard Kentavious Caldwell-Pope from Georgia. His performance has been, at best, spotty. Yet, the Pistons are playing well enough currently that if the season ended right now, they'd be a seventh-seed in the Eastern Conference for the playoffs. The Pistons haven't made the playoffs since 2009. If the Pistons have a similar record at the end of the season, and still make the playoffs only because the Eastern Conference is so bad, would it really be progress? Personally, I'd see it as more of the same. Yeah, it's still a bit early to start defining drafts, but it was disturbing how Burke lit up the Pistons like a pinball machine Friday. You wonder why Josh Smith and Brandon Jennings haven't played more consistently proficient basketball. And I said at the time Dumars passed on Burke for Caldwell-Pope that it was a gutsy pick, but that he better be right. At this point, he looks horribly wrong. Presumably, the Tigers are willing to sign Max Scherzer to a long-term contract for an extraordinary amount of money before the start of this coming season. Scherzer's is entering the last year of his contract and is coming off, by far, his best season. Should he bet on himself and seek an even larger gold mine, or sign for the Tigers for a huge amount regardless without rolling the dice. The rub could come in if Scherzer and his agent Scott Boras view Clayton Kershaw's recently signed seven-year, $215 million contract as the standard for Scherzer. It's apples and oranges. Kershaw is nearly four years younger. The two put together similar seasons in 2013, but Kershaw has been a considerably better pitcher than Scherzer over the course of their careers. His ERA is more than a run less, his WHIP measurably lower. Max Scherzer: Why roll the dice? Scherzer has been a good major league starting pitcher with some inconsistency issues over the course of his career. He definitely put together a No.1 starter type of season in 2013, and he pitched at a similar level during the second half of the 2010 season. However, his WHIP was between 1.2 and 1.3 for every season until last year when it was off-the-charts at 0.970 (Kershaw's was still lower at .0915, but he does see pitchers hitting in the NL). Kershaw's Defense Independent Pitching numbers are considerably better than Scherzer, too, including last season. There is a lot there to suggest what Kershaw did last season was a trend consistent to his career track, while there is an equal amount to suggest Scherzer's 2013 campaign was an aberration, not a trend. It's constantly mentioned if Zack Greinke got $147 million for six years from the Dodgers, how much Scherzer is worth. The Dodgers overpaid for Greinke. 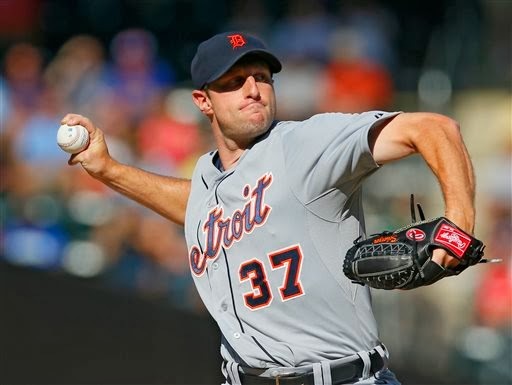 By rolling the dice and gambling on himself, Scherzer very well could get more in free agency than the Tigers will pay him before the start of this coming season (he does have a great "stuff.) He could get a lot less if there is an injury involved, or if he goes through a rough patch which drives his numbers back to where they suggested he was more of a No.2 or No.3 starter than a No. 1. It's seem like he really likes with the Tigers. With Miguel Cabrera and Justin Verlander in the fold and their prime, the Tigers are going to be contenders the next several years. The risk doesn't seem to match the immediate reward, does it? I was among those who felt Ken Whisenhunt was the ideal candidate to replace Jim Schwartz as the Lions' head coach, but he isn't the only coach in the pool. Jim Caldwell's resume is as impressive in many ways. This town is underwhelmed by the idea of Caldwell, but he wasn't merely a product of his talent in Indy. He played a significant role in Baltimore as well. He has been part of Super Bowls. His record at Wake Forest as a head coach is misleading. He actually did an excellent job under the circumstances. 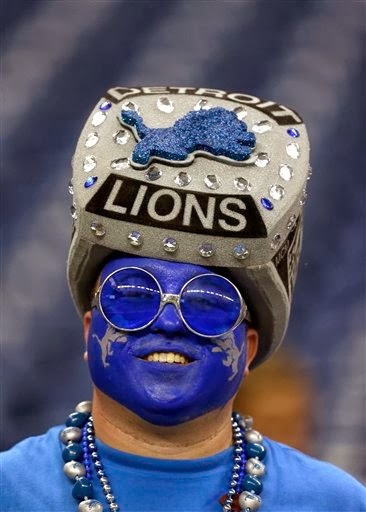 The Lions could do a lot worse than if they name Caldwell head coach. I do believe Caldwell would improve the Lions' offense, but what about the defense? The Colts ran a Tampa 2 when he was the head coach on the heels of Tony Dungy. His defensive coordinator was Larry Coyer, who is 70 years and hasn't coached since 2011. It's doubtful he would be brought in. Could it be that Gunther Cunningham would be retained as defensive coordinator and the Lions' stay with the Wide 9? I'm not sure that would be the right move, but is more possible than we could have imagined when this process began. Teryl Austin, the secondary coach for the Ravens, has been mentioned as the D-coordinator, but his one year as coordinator at Florida was not successful. He was on Urban Meyer's final staff. The idea of Jim Tressell on the Lions' staff is just weird. It's like he was campaigning with some of his comments about Caldwell to the media. The "60 Minutes" report on Alex Rodriguez's suspension from baseball Sunday night (it was reduced from 162 games from 211 games this weekend) was explosive. His alleged provider with PEDs, Anthony Bosch, provided great detail of Rodriguez's usage, and officials from MLB agreed to discuss the case. Now, the MLBPA is pushing back in defense of one of its member, alleging MLB was wrong to discuss A-Rod's case so publicly. To me, that's where the rub comes in. Is the rank and file of the membership really behind him? Will they see this as bullying on their fellow players by MLB, or join in with the idea A-Rod is only reaping what he sows? In the past, players have followed a code. It is to protect their own, regardless if they were upset about PED usage. I can't tell you how many players I have talked to about the issue in the past, implicating their fellow players off the record, but zero have been willing to go on the record or even allow to be quoted with anonymity. Last summer, when several a numbers players were suspended by MLB as part of the Biogenesis probe, it was openly saluted by several players, who stated very publicly they want PEDs out of the game. The MLBPA could be in a tough spot here if it makes it too big an issue with MLB because the commissioner's office, after literally decades of neglecting the issue and letting it run amok, has become much more aggressive in its attempt to level the playing field so the sport isn't based as much on designer drug usage. PED using players lie through their teeth on this until the very end, and then often keep lying, regardless. And there is a fan base willing to forgive very quickly their transgressions. The key is the current players. How do they feel? The MLBPA should give A-Rod its most vigorous defense, but if influences future restraints on PED use and testing and punishment in the name of abuse of A-Rod, then it is missing the point. That part is up to the rank and file of the players. If you look at new Michigan offensive coordinator Doug Nussmeier's resume, it is canon fodder for Michigan State and Ohio State fans to take shots. He was off-the-chart-goofy former MSU coach John L. Smith's star quarterback at Idaho. He was also his offensive coordinator at MSU. He does have NFL experience, a large chunk of it on departing Lions' offensive coordinator Scott Linehan's staff during his underwhelming tenure as head coach of the Rams. He did run the offense for Nick Saban at Alabama, but it's like Saban can't get him out of town fast enough. Yet, here's the bottom line about Nussmeier: He is good offensive coordinator with a varied background and should be an upgrade from Al Borges, who seemed to lose grasp in 2013. An very important aspect of Nussmeier that specifically fits Michigan is that he was a left-handed QB himself, a very good one, who played in the NFL. It should help greatly with the development Shane Morris, a lefty. A lot of programs and NFL teams shy away from left-handed QBs because they must flip their offense (the right tackle does what the left does in the passing game, the center snap is different, etc.) to accommodate. Brady Hoke couldn't have found a coach more versed for these adjustments than Nussmeier, and there get the most out of Morris, an obvious talent. However, the bottom line is it isn't going to matter if Michigan doesn't play better fundamental football. It starts with run blocking and the middle of their offensive line, which was dreadful last year. A.J. 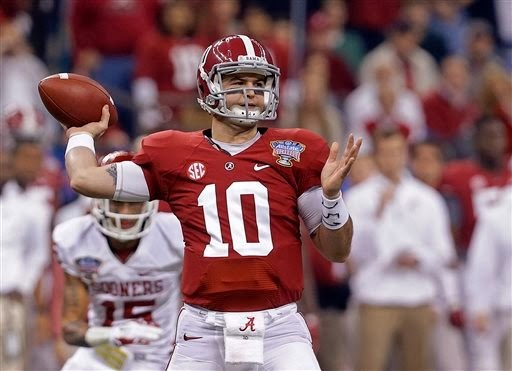 McCarron: What if he is there in 4th round? Virtually all focus on the Lions' coaching search has centered on what the new coach and his staff can do for quarterback Matthew Stafford and the offense. - Developed a young Ben Roethlisberger as offensive coordinator with the Steelers into a Super Bowl championship QB. - Helped rehabilitate the careers of Kurt Warner as head coach with Arizona, and Phillip Rivers at SD. - Reached a Super Bowl as head coach with an organization, the Cardinals, who had never been there before. Can you imagine Russ Grimm, one of the greatest offensive line coaches of all time, working with the Lions' considerable young talent on the offensive line? It's likely if Whisenhunt becomes the Lions' head coach. Yeah, but what about the defense? Whisenhunt has been strongly associated with 3-4 teams in the past, and went through three defensive coordinators in six years as Arizona's head coach. The 3-4 is a big part of coming from the Steelers' tree. Whisenhunt fired his first defensive coordinator with the Cardinals a week after reaching the Super Bowl, Clancy Pendergast. 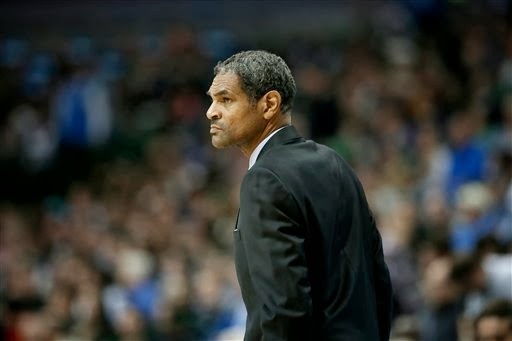 He inherited him from Dennis Green's staff, reportedly at the urging of the front office that hired him. Bill Davis then took over, and the Cardinals did go 10-6 and win a playoff game the next season, but gave up 45 points in the victory over Green Bay and 45 in the ensuing loss at New Orleans. The next season, the Cardinals ranked 30th in points allowed. Davis was eventually replaced by Ray Horton, who was on Cleveland's staff last season as D-coordinator (first year head coach Rob Chudzinski was fired) and, reportedly is interviewing for some NFL head coaching jobs. He would likely be the leading candidate to be the Lions' D-coordinator under Whisenhunt. He is a 3-4 guy. Do the Lions have the personnel to run a 3-4? LThe nucleus is there. Ndamukong Suh would be a terror as a defensive end in the 3-4. It's the position he is ideally suited to play given his size-strength-quickness equation. Ziggy Ansah is athletic enough to pull his hand from the ground and play linebacker, and be a tremendous edge rusher. Ansah has excellent range as a tackler, which was wasted to a degree in Jim Schwartz's Wide 9. DeAndre Levy and Stephen Tulloch would be very good inside in a 3-4, Nick Fairley would be the nose. It would also mean the Lions would have to consider drafting a linebacker in the first round, and there are a couple premier players at the position. Anthony Barr from UCLA and Buffalo's Khalil Mack. 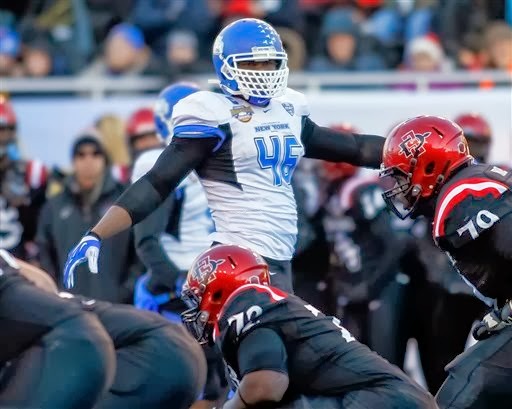 Barr is getting more buzz on draft boards, and he is an excellent prospect, but Mack is a superior talent, one of the best linebacker prospects of this decade, whose only flaw is playing in relative obscurity in the MAC.